pounds and counting of material from our landfills. 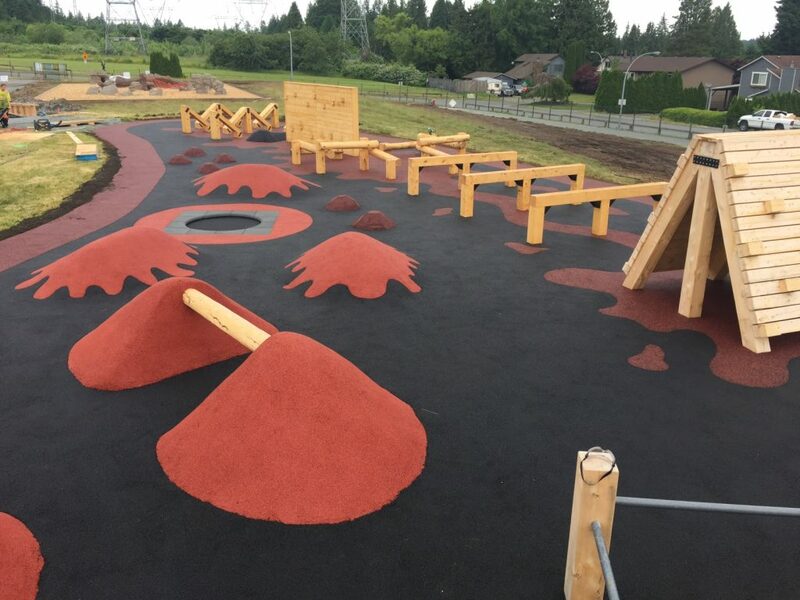 Marathon Surfaces is a full service supplier and installer of surfaces ranging from rubber running tracks and recycled playgrounds to multi purpose courts, and synthetic turf. Marathon is committed to providing environmentally responsible surfacing choices using recycled rubber from local suppliers. The best quality materials are used and proven installation techniques, resulting in surfaces that perform and enhance any facility. 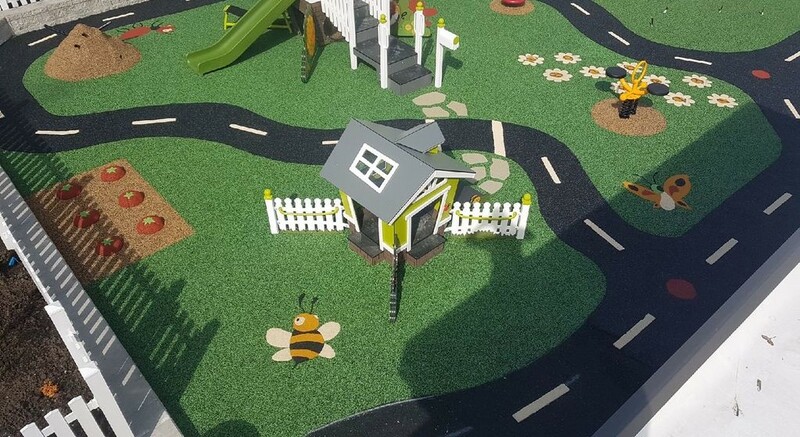 Landsafe ® is a unique recycled rubberized surface, ideal for use in Playgrounds, water parks, pathways, seniors centres and much more! 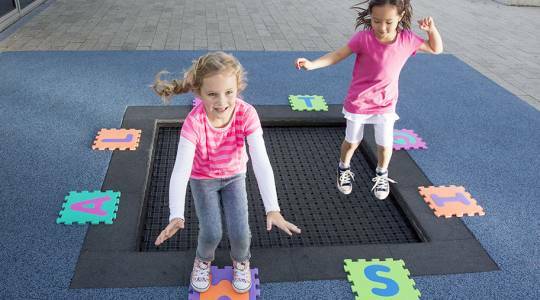 Designed to enhance safety in any environment, the Landsafe ® system offers a seamless, safe, accessible and porous surface for the ultimate play, sport and social environment. 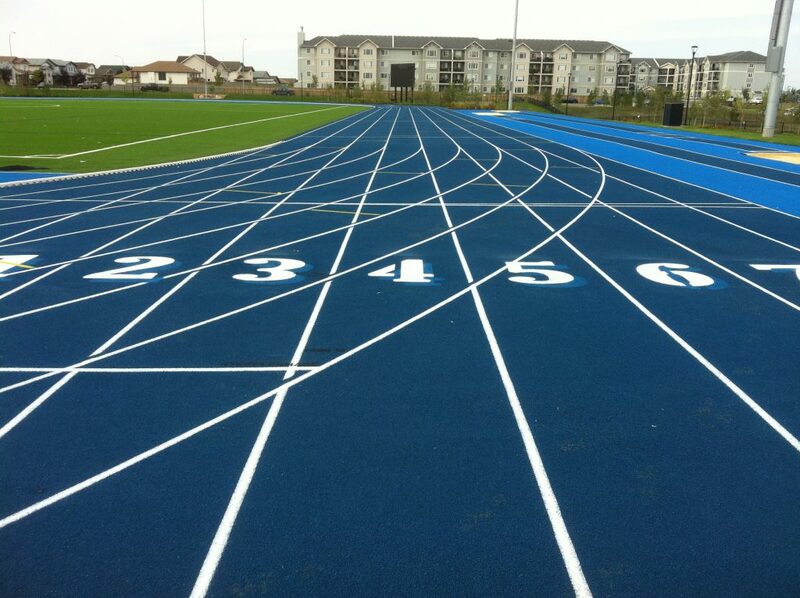 Marathon is pleased to partner with APT on their Spurtan and Rekortan track surfaces. We have experienced sales staff and installers that can assist you in determining the track system that best suits your sport and project requirements. 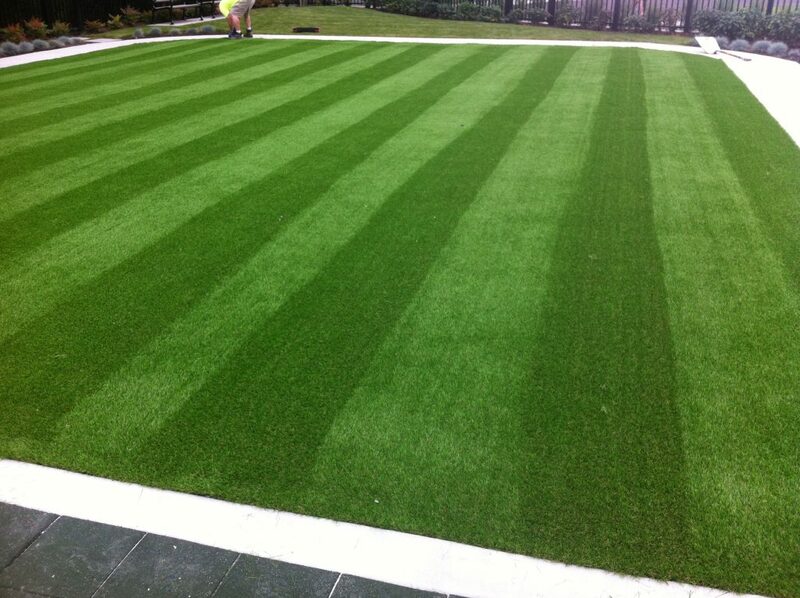 Marathon can customize its line of high quality synthetic turf to meet your specific needs and budget. Whether you require sand infill, rubber infill, or conventional turf, Marathon's quality manufactures will meet your specifications. 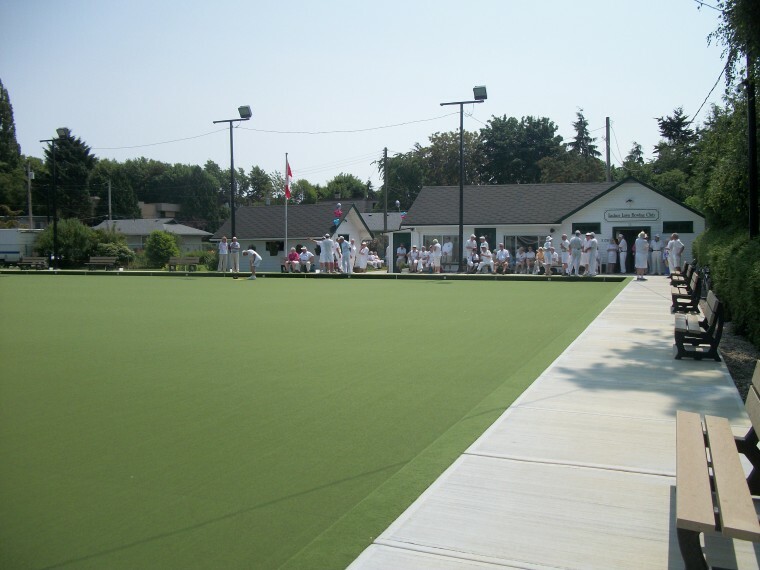 Marathon is pleased to partner with Dales Sport Surfaces in the U.K., as their exclusive North American dealer providing outdoor and indoor artificial lawn bowling greens. Parkour: An athletic activity based on creating and attempting movement challenges in a built environment using jumping, climbing, and acrobatic techniques. Sometimes referred to as "Freerunning". Create a 3 dimensional play environment that will increase play opportunities and stimulate the imagination! Hide behind or climb on up, and conquer! Marathon Surfaces is now offering 3D rubber animals and spheres. These durable rubber play features come in a variety of sizes and bright bold colours. 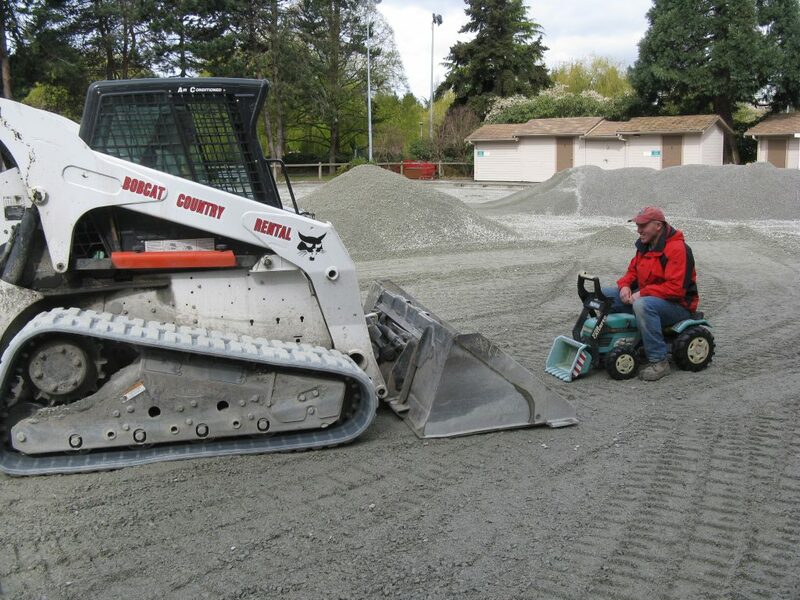 Marathon Surfaces can provide turnkey projects, from aggregate base to completed surfacing. 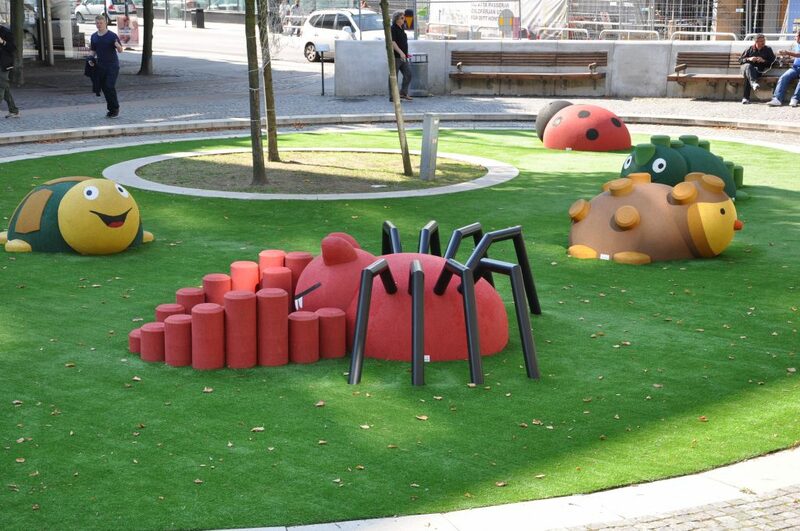 These services are available for Running Tracks, Playgrounds and Multi-Purpose Areas.